I don’t know about you, but my kids love those free bouncy balls they get at the doctor’s office. But even more fun than the free ones are bouncy balls you make yourself- especially because there’s no danger of a flu shot! 1. 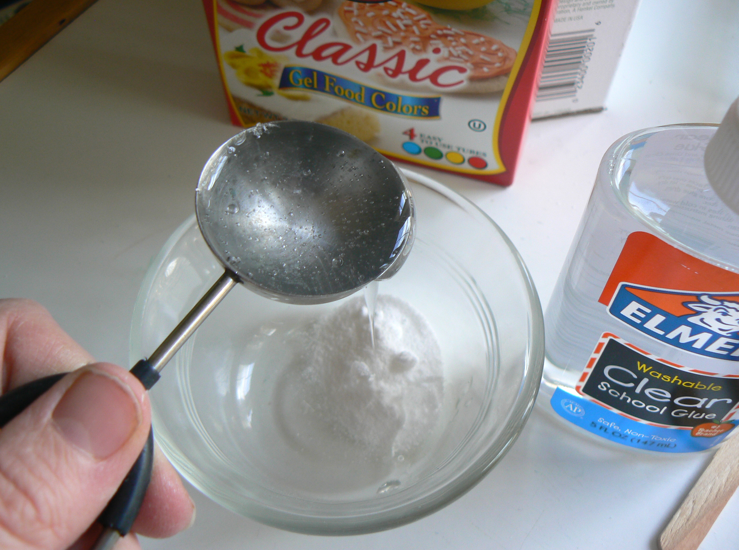 Pour 1 tablespoon glue into a small container. Add a couple drops of food coloring and mix. 2. 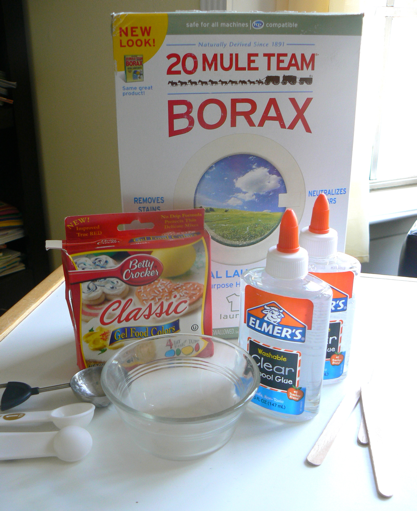 Add 1 teaspoon Borax. Wait fifteen seconds. 3. 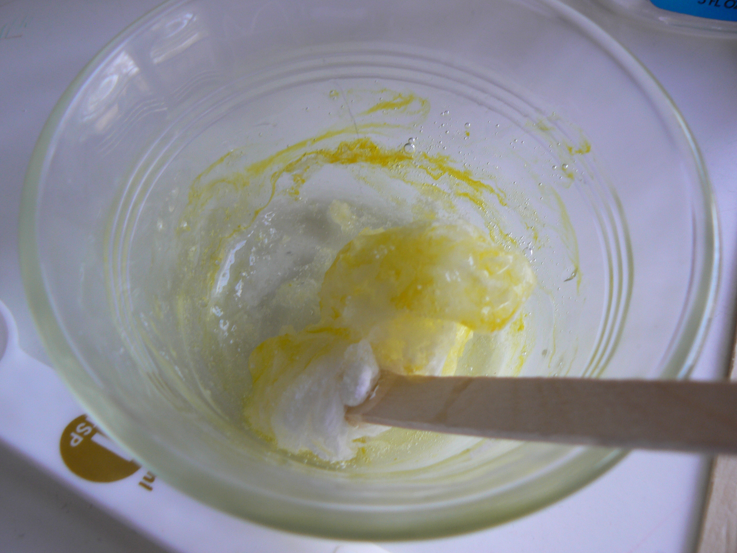 Mix with a craft stick until it’s too thick to stir anymore. 4. Knead and roll the ball in your hands. It will be sticky at first, but eventually will turn rubbery and dry. They won’t, of course, be perfectly round or shiny like the doctor’s office variety, but that just makes them bounce a little crazier. Also, they’re a one-afternoon kind of toy. They dry out and lose their pep after about a day (keeping them in a plastic bag helps preserve them a little longer). 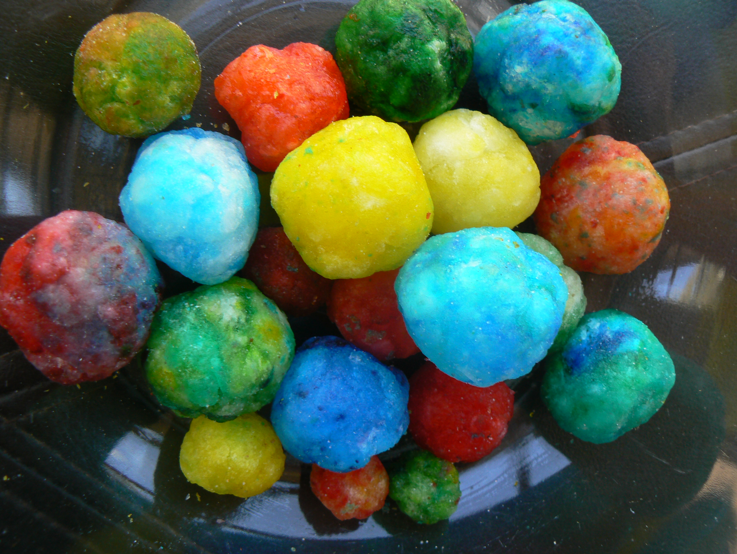 Note: While Borax is an all-natural whitener and generally safe, it’s probably a very good idea to remind your children not to eat the balls. Katey cooks up other kinds of homemade fun at her blog Having Fun at Home.